It feels different from writing it on the front of your computer with your physical keyboard. On the beginning it is even quite weird. But with each sentence written you will get used to it and feel better with the on screen keyboard. It is enough big to write quite comfortably. Moreover it lets you sit and write in many places where holding notebook would be very hard. It is easy to hold tablet on your knees when you are sitting or even laying in your bed. What size should be ok...? Eight inch tablet is small enough to keep it comfortably and it still displays quite big keyboard to write in many situations you would not even think of using your personal computer. Moreover it displays full WordPress admin interface that may be used without any problems. I have been thinking about using some additional apps on the beginning. Firstly I have tried to find and install WordPress for Android app. Unfortunately it has been filtered by Android Market and my device has not been able to see it (Honeycomb 3.2). Then I tried Dolphin Browser as I believed it should be faster than internal chrome. But after a few minutes I have gave it up as it had an interface that fits cell phone screens a way better than tablet. Like for now I am not using anything more than have been preinstalled with a pretty clean Honeycomb version. After some testing I will write more about making Android Tablet more comfortable and usable as for the developer and blogger. This post has been written in the first hours of having an Android Tablet so those are my first experiences. More will be posted soon. At least it looks that standard internal Chrome browser and WordPress web interface works best for blogging. Just as good as on desktop computer. All you need is some practice and blogging on the tablet seems quite possible and comfortable. Moreover it looks that tabled is increasing my productivity as I am doing a lot of smaller tasks that in total takes a lot of time in the meanwhile. Much more comfortably than on the smartphone and far away from my desktop computer. A couple of spelling and grammatical mistakes, which are most likely the tablets doing as you spelled them correctly. Furthermore, can you give me more details about the type of apps on the Tablet? I doubt there would be a large, bountiful variety in comparison to the mobile phone. There are same apps on tablet and phone. But interface of many of them is redesigned for tablet purposes and it makes them much more comfortable to use than on the phone. I will write some blog posts about tablet apps soon. I am using both – Android tablet (Samsung Galaxy 10.1) and Ipad 2. Somehow the second device took my heart. Btw. maybe you could blog the next income raport on your device? Thank you for your comment. I think that income report is to complicated to do it on the tablet as I need a lot of information sources. I believe it is possible to do it on tablet but most probably it would take much more time than on computer. On the tablet I will rather be writing a short posts than the long ones. So… When do you plan to publish your next report? I’ve seen that last reports were usually published after 20th day of the month. Did something unpredicted happened? I was little busy last days. It will be published next week. My 7″ Android works well when typing short blogs. For long articles and free writing I still prefer a keyboard, but the convenience goes to the tablet while I’m sitting at the cafe. My 10.1” Samsung Galaxy Tab works well enough for posting on Twitter and Facebook and the occasional e-mail, but I can’t see myself typing on the thing long enough to put together a blog post. I’m one of those old-fashioned types that needs the tactile feel of an actual keyboard to do any real writing. I don’t have problems with the basic typing on an iconia 100. But how do you copy and paste text into blogger and how do you sslect that text for a link and copy a link into bloggers “edit link” bo?. So far these questions have me stymied. 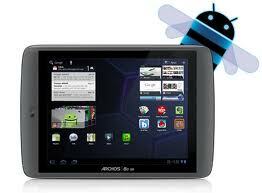 It is difficult to get all the words right using the Android tablet. It is so easy to tap the wrong letters, looking for perfection can become a pain, so I use the WordPress app to write blog posts, then save it and do the final edit on a laptop. This gives me the ability to post from anywhere on my Android tablet. As soon as i have an idea for an article I can write a post on my 7-inch Galaxy Tab 2 7.0, then do the final, perfect editing on my laptop. I feel writing a blog post through a tablet pc is a great idea if you are always on the go and not have your computer in front of you all the time. A tablet pc was my choice as i am always travelling. But since I am a student I disnt have a large amount of money to shell out. I bought my BASlate 7SCH and that’s quite comfortablet for me to write all my blogs. But yes, ultimately when I am at home then my laptop becomes my fav gadget to work on….